10X Commissions Review + Bonus - $10K Per Month in Your Spare Time? 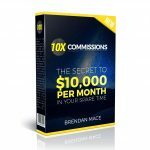 This is my honest review of Brendan Mace’s latest digital product 10X Commissions. Brendan has been in the internet marketing space for many years now and this is the fourth digital product he’s released so far. He’s one of the most popular online marketers on YouTube with over 38,000 subscribers. It’s important to mention that unlike a lot of other people out there that have reviewed 10X Commissions, I’m not doing so with the sole intent of funneling traffic to some other offer I’m an affiliate for that I claim is “better”. I am an affiliate for just about all of the products I review, I don’t have an ulterior motive, and most of the time I have purchased and gone through the whole course before writing about it. This is a 100% honest review, something that’s not easy to come by these days. Bonuses: I’ve put together a package of three awesome bonuses that I think complement 10X Commissions at least to some degree. You’ll get these bonuses absolutely free if you decide to grab 10X Commissions through my link on this page. Be sure to scroll down to the bottom of the review to get a description of each of them! Summary: 10X Commissions is a quality info product packed with a ton of valuable information. 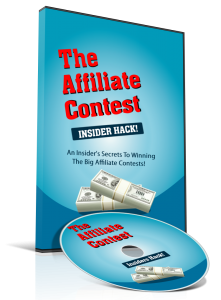 The product includes 7 very useful fast-action bonuses that complement the main course, as well as some fairly simple but ingenious “hacks” that allow you to squeeze even more money out of your campaigns. This is a great method that can be employed long-term and used in conjunction with the list-building strategies covered in Zero Hour Work Days. With that said, I wish Brendan would have provided solutions for people who aren’t comfortable creating their own product review videos; it can always be outsourced, although there are challenges with this and Brendan doesn’t talk about it at all. I also wish he would have gone into some detail about good SEO/ranking practices for YouTube review videos and blog review posts. What is 10X Commissions about? 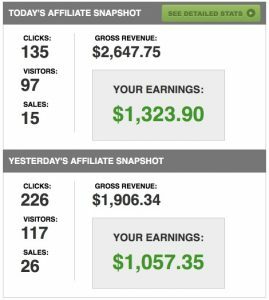 how to become a consistent earner with affiliate marketing. 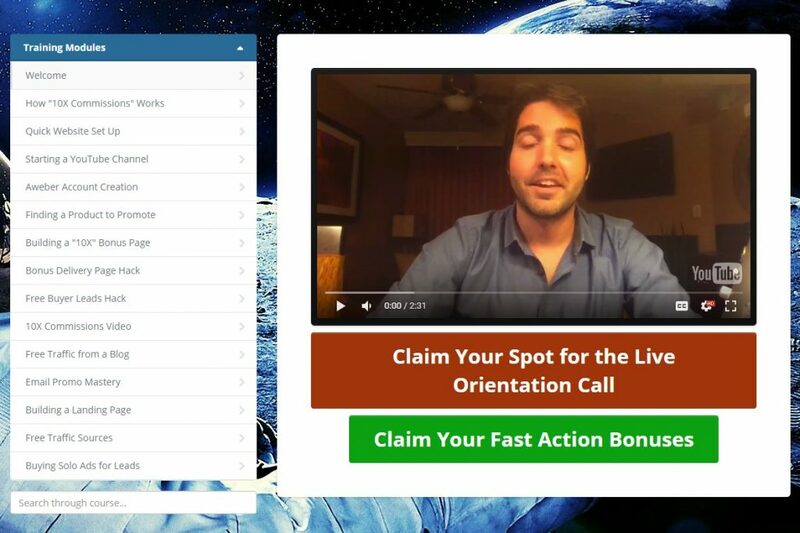 Brendan has also some unannounced bonuses, including a case study where marketer Dalton Scott shows people his results after implementing the training in the course. What is the structure of 10X Commissions? Upsell 1 ($1 trial for 14 days and $19.95/month thereafter) – when you sign up your get access to a special members area where Brendan and his team provide done-for-you affiliate campaigns that are essentially copy-and-paste. You can cancel membership at any time and you can also get a refund during the 14-day trial period if you so choose. There are tutorial videos showing how everything works. 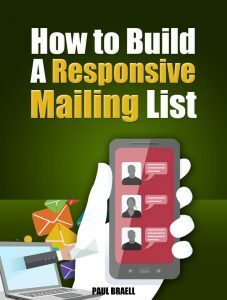 Each campaign has a series of email swipes, a couple of Facebook post swipes, an export code you can import into Commission Gorilla to bring up the bonus page, and a done-for-you bonus page that you can have your affiliate link placed in. I think this is a great offer for a couple of reasons: the $1 trial and $19.95 monthly plan is very reasonable for what you’re getting, and on top of the email swipes, you’re able to obtain high-converting bonus pages without having to buy Commission Gorilla or obtain your own bonuses to give away. I actually ended up taking the trial on this and am currently a member. If you’re not very good at writing emails, have no bonuses and/or don’t have Commission Gorilla, then I recommend signing up for this. Upsell 2 ($47 with downsell of $37) – a high-converting landing page (or “money page” as Brendan calls it — I don’t think it’s a very suitable name personally) as well as a free installation of the landing page software WP Profit Builder on your site. If the opt-in rate ends up being underwhelming, you’re entitled to a full refund. I didn’t get this upsell and I really wouldn’t recommend it. It’s not hard to create a high-converting landing page; I had no problem creating my own with opt-in rates of around 50% right off the bat, and also, I make my landing pages for free with my email autoresponder service Sendlane. If you do end up getting this, try to study and learn from the landing pages that are made for you. If you want to be successful you really should learn to make effective landing pages yourself. Upsell 3 ($97 with downsell of $47) – with this purchase you obtain master resell rights (license rights) to 10X Commissions or any of Brendan’s other products. What this means is that you can sell Brendan’s product as is (no altering or editing) and keep 100% of the profits. If you plan on seriously promoting any of Brendan’s products down the road, I would seriously consider this offer; you’ll end up making a whole lot more money since you don’t have to share the proceeds with anyone else. Upsell 4 ($997) – 1-on-1 coaching with Brendan. You will be able to get personalized help every step of the way and be put on the fast track to success. I’ve mentioned before that I’ve never gotten coaching from Brendan, but I do know people who have and have reported great results with him. If you’re interested in coaching in the online marketing space, this is a viable option to consider. Most products you see out there cover the “action” aspect of making money online but say absolutely nothing about the “mindset” aspect, which is just as important if not more important. If you don’t have the right mindset then you don’t have a chance at making money online long-term. I would normally charge for these value-packed bonuses (particularly the second one, which is practically a novel), but you’ll be able to get all of them absolutely free if you grab 10X Commissions through my link. I know a lot of people will get it just for the bonuses, even though 10X Commissions is a quality product on its own. Is 10X Commissions a scam? Absolutely not. 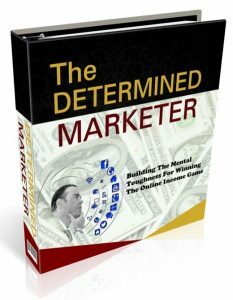 This product is a must-try for affiliate marketers and online marketers in general. If nothing else, you should buy the front end product for less than $15 and get the wealth of valuable info (including fast-action bonuses) that Brendan has in the members area. These days it’s harder than ever to make money sending traffic directly to an offer either through your email list or by using paid or free traffic. You need to provide an incentive for people to buy through your affiliate link instead of the link of some other internet marketer who, for all intents and purposes, is a clone of you unless you differentiate yourself. Bonus pages are an awesome way to help you stand out and make a lot more sales, and your other online assets like website, YouTube channel and social media accounts can help you get that constant trickle of traffic to build your email list and make even more sales. 10X Commissions teaches an effective way to build a strong and lasting online business. In terms of negatives, I wish Brendan would have provided some alternative options for people who aren’t comfortable making their own videos — and I’m sure there are a lot of you out there. If you’re reading this and you’re one of those people, I would recommend either making a script to go off of and/or just show your screen without a face overlay. Outsourcing is an option, but unfortunately getting someone to educate themselves on the product and do a review for you will likely cost a small fortune. Also, it also would have been nice if Brendan talked more about good SEO practices for ranking your YouTube videos and blog posts; he does touch on certain elements of this but leaves other elements out. I hope you found my review of 10X Commissions informative and helpful. See my summary and rating of the product below. If you have any questions, feedback or comments, feel free to leave them in the comment section! Next Flipside Profits Review + Bonus – Does It Live Up To The Claims?